Earn $1.65 in Podium Club credit (165 points)What's This? Superior shifting performance starts with top quality cables. The Road PTFE Shift Cable Set is the newest Dura-Ace level cable and housing system from Shimano. The factory greased SP41 4mm compressionless shift housing is specially designed for newer STI levers which route cables beneath the handlebar tape, but is back compatible with older Shimano shifters as well. The stainless cables features a special PTFE treatment for reduced friction resulting in more efficient performance and longer service life. 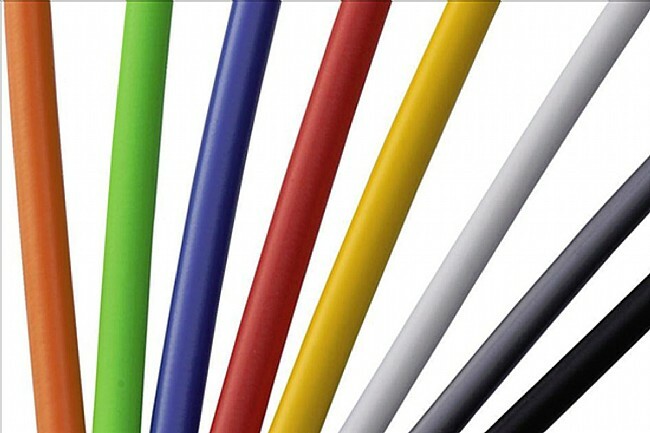 The Road PTFE Shift Cable Set weighs 101g (uncut) and is available in various colors.